Dryer Vent Cleaning Investing on a dryer can take a substantial amount of money that you cannot afford to lose from negligence or carelessness. Therefore, proper care and dryer’s vent cleaning should be considered to avoid any damages to your dryer. 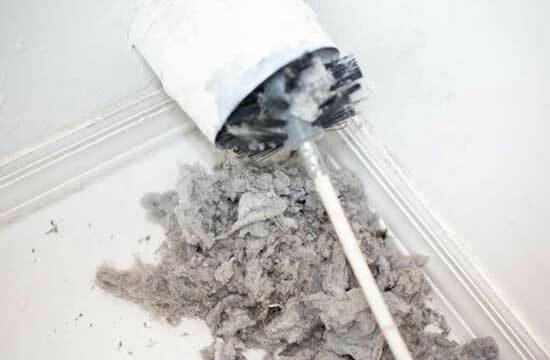 A cleaning service should clean your dryer vent at least once per year or as soon as it accumulates lint in its vent. You should contract a professional technician who is experienced in dismantling your dryer’s vent for cleaning purposes and mantling it back to its proper form. 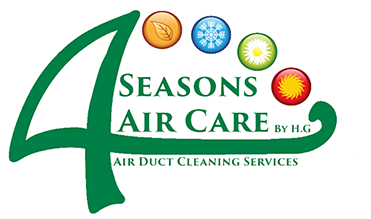 4 Seasons Air Care should be the professional services that you require. We handle each of our clients exclusively knowing that each client has different requirement different from the other. You wouldn’t want to miss our exclusive and unique treatment we offer our clients. Contact us at our phone number (855) 512 2726. Of course, you wouldn’t want that happening to your dryer. Make the right decision without delay by contacting 4 Seasons Air Care cleaning services to protect your dryer from these two significant risks by thoroughly cleaning the vent. The vent does not blow out the air as it should do. Your dryer does not dry your clothes entirely even after the proper timing. Moisture collection inside your dryer. This means it is not producing enough hot air to dry your clothes completely. You will notice some lint stuck inside your dryer and some clothes picking the same lint, especially on dark clothes. One year or more has passed since you last cleaned your dryer vent or you have never cleaned it since you started using it over a year ago. If you experience all or some of this signs, do not hesitate to contact us at (855) 512 2726. We shall in no time get to you to offer our professional services. Professional technicians with vast experience in handling dryer vents. Periodic checkups of your dryer after rendering our cleaning services. Before and after cleaning photos that we take to show you the comparison of the two situations. Licensed and certified dryer vent cleaning services. Using proper equipment with the latest technology to eliminate all the lint from the vent. Involving our client in the procedure of cleaning the dryer vent and other repairs that requires our attention and action. You must be convinced we are the company to hire for your dryer vent cleaning services. Contact us at (855) 512 2726 or reach to us online on www.4seasonsaircare.com for further information on our services and for a free estimate. 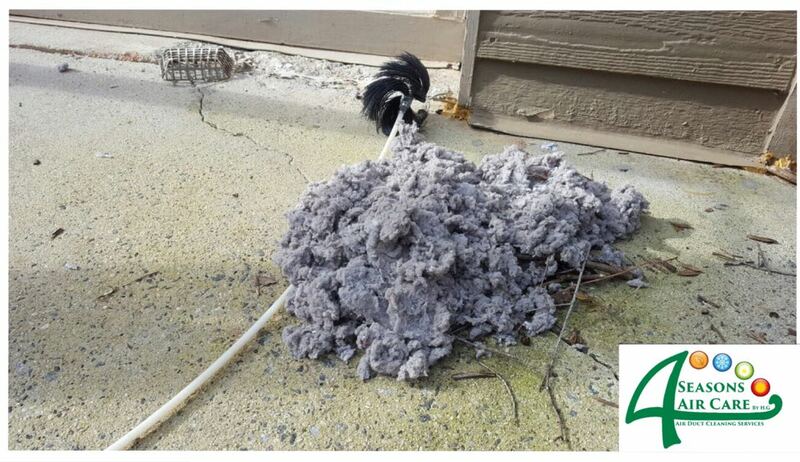 Did you know that lint-clogged dryer vents cause the highest number of fire cases? It is for this reason that you don’t have to take chances with your dryer when you suspect its vent needs cleaning. Contact us at 4 Seasons Air Care by dialing (855) 512-2726 for a free quotation on the same. Your dryer cannot serve you efficiently if its vent is clogged with lint. The amount of lint that collects and accumulate in your dryer’s vent can cause a breakdown if unchecked and cleaned on time. However, not any walk in personnel can handle cleaning your dryer’s vent with professionalism required. It is an intricate task that needs expertise from an experienced technician. Trust 4 Seasons Air Care to carry out the cleaning task using the best tools in the market. 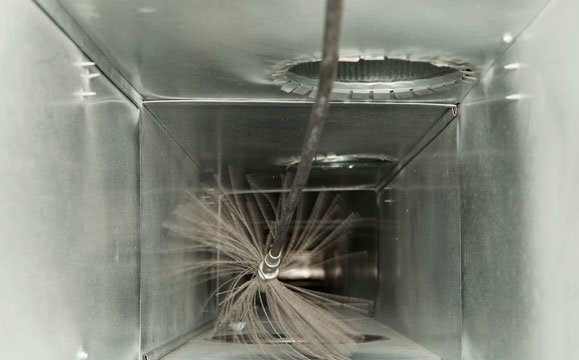 Apart from lint accumulation, dust, debris, and other particles are the reason for your dryer’s vent clogging and affecting the efficiency of your dryer. Your dryer is made to run smoothly with little noise. When you notice your dryer is dragging and noisy, know it is calling for immediate cleaning. Pay attention and immediately call for help. Contact 4 Seasons Air Care on phone number (855) 512-2726 for essential quality services. The best dryer vent cleaners should be efficient in the way they handle their clients. Prompt response is one of the qualities they should mind about. A technician should be available for the cleaning services of the dryer vent within the shortest time possible after your inquiry is put through. Professionalism should be observed when handling the delicate dyer vent cleaning services. The cleaning company must display certificates and licenses showing that they are certified to carry out the cleaning services. We at 4 Seasons Air Care will present our certificates and licenses to signify our professionalism whenever called to do so. Call us on (855) 512-2726 for any clarification and more information. A professional dryer vent cleaning service must be able to diagnose your dryer’s problem before making unfounded conclusive decisions. The professional technician must do inspect the dryer to match it with the diagnosis made. 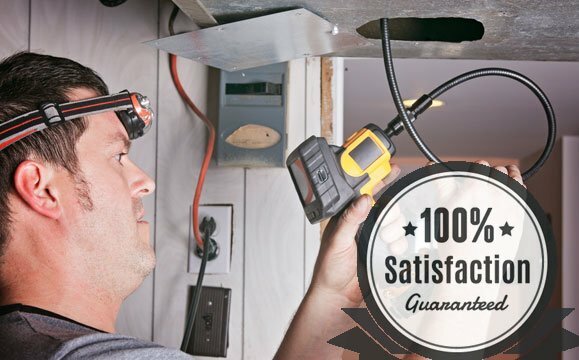 A professional service provider with a vast experience should be able to give an almost exact estimate of the quotation after diagnosing the dryer vent problem. The 4 Seasons Air Care Company goes beyond the estimates by taking our clients through the process of cleaning the dryer vent and other details like minor repairs if any. A genuine dryer vent cleaning company will charge a standard fee. You should question a company that charges a low price for its services compared to other service providers. Again, an exorbitant charge from a particular company should be questionable. Now that you have the guidelines needed to make a sound decision in selecting the suitable dryer vent cleaners, professional service is what you must get. Contact 4 Seasons Air Care on (855) 512-2726 for professional services with a touch of expertise and experience. You can visit our site www.4seasonsaircare.com to get more information about us. Are you wondering how much does it cost to clean a dryer vent? One of the most important appliances in homes is a clothes dryer. It is used daily and it leads to a build-up of lint, hair, debris, and fluff. This will cause hindrance to the operation of the dryer. In order to avoid this, it is recommended to clean out the vent after every use. However, not everyone has the time and habit of cleaning the dryer vent regularly. As a result, the vent is blocked. If the dryer vents are not cleaned, it increases the risk of fire. According to US Fire Administration reports, there are nearly 12,700 dryer fires every year. It leads to 300 injuries and 15 deaths along with $88 million property loss. Moreover, a clogged vent can even result in short-circuiting and overheating problems. Most of the people think that it will cost you an arm and a leg to get your dryer vents cleaned. Hence, not cleaning your dryer vent can cost you a lot in the long-run. So, it is better to get professionals to clean your clothes dryer vent. If you wish to know more about the cost of dryer vent cleaning, feel free to contact us at (855) 512-2726. Read on to know about the cleaning cost. The cost of cleaning dryer vents depends on various factors, such as your location and the company you choose. In present times, there numerous companies offering dryer vent cleaning. Unfortunately, not all of them are a reliable choice. If you are looking for a professional and trustworthy cleaning company, 4 Seasons Air Care is the name to rely on. We have an experienced and skilled staff offering proficient services at competitive prices. The cost of cleaning dryer vent varies from as low as $90 to $450. The cost of cleaning can increase if you need additional services like extra supplies are required or mold removal. Other things that have a direct impact on the cost includes the current conditions of the dryer and the type of dryer vent you own. For having an accurate estimate, you can call us at (855) 512-2726. As mentioned above, a clogged dryer vent can lead to many problems and can even result in a life-threatening accident. Here are few of the signs that will indicate you need to get your vent cleaned. The clothes are not dried completely, they are damp. It takes longer for the cycle to be complete. There is a musty smell coming from your clothes. The clothes are warmer than normal. The room feels warmer than the usual. There is an increase in the energy bill. The lint filter fills up quickly. If you experience any of the above problems, you should immediately consult a professional. We, at 4 Seasons Air Care, provide excellent dryer vent cleaning services. You can contact us to reduce the risk of fire and other accident. In case you have any questions, get in touch with our customer support representative by calling on (855) 512-2726. Are you in search of a reliable dryer vent cleaning service? The dryer is one of the most crucial and used appliances in your home. According to the experts, it is advised to clean the vent of your dryer after every load. This is because dirt, debris, fluff, and lint can be accumulated that clogs the vent. A blocked vent can increase the risk of accidents and fire. It is why you should clean the vent frequently. Experts recommend getting your vents cleaned professionally at least once in a year. With so many choices, it gets challenging to choose a cleaning company. This is because not all the companies are reliable. 4 Seasons Air Care is the name to trust when looking for the best dryer vent cleaning service. You must be extremely diligent when choosing the right dryer vent cleaning company. Have a look at the tips for hiring an excellent dryer vent cleaning service. One of the first things that you need to pay attention to is the reviews. There are many sites that provide online reviews about the services of the company. This is to ensure the company is not fraudulent. You can find a real company on various review sites. In order to make sure the company is good, you must check the reviews. A company with all good reviews might indicate something is not right. So, it is advised not to trust every review on their website. Another thing that you need to focus on is the license and insurance. There are some states where a contractor’s license is not required. This makes it easy for cons artists to find their next victim. Fortunately, the company is required to have a Business License and Liability Insurance. This is a great way to check the reliability of the company. You can find this information on their website or you can ask them. In order to know about our license and insurance, you can call us at (855) 512-2726. There are varying prices of dryer vent cleaning and most of the people look for cheap prices. Mostly, the fraudulent companies offer low prices. This is why you should not fall for the trap and not consider price as the deciding factor when hiring the dryer vent cleaning service. Many companies provide a free quote; it is recommended to ask for an estimate. You should also ask if the estimate includes the cost of the complete service or will there be additional fees. If you want to get a free quote, call on (855) 512-2726. Therefore, we are a reliable name in the cleaning industry. We have a team of professionally trained and experienced staff offering exceptional cleaning services. We understand how important your belonging are, this is why we work carefully and in a professional manner. Our professionals are skilled enough to thoroughly clean the vent and get the job done right in the first time. For more information, call (855) 512-2726.